djkardkreations: DD; MUSE; LIM ~ Scallops With a Side of Lucky Dip! DD; MUSE; LIM ~ Scallops With a Side of Lucky Dip! Happy late Wednesday, early Thursday whichever it is, wherever you are! I was doing some filing at work today and my mind wandered to this week's MUSE challenge. I wonder where I filed what at work when my mind was not focused on filing. Hmmm? Sshh. The MUSE this week is none other than the seriously talented Laurie Willison of Soapbox Creations. Laurie is a rather hum-drum (NOT!) woman who is a wife and mother and card maker and scrapper and photographer and die maker and MUSE. There is a lot of mentoring and musing to be found at her site. The top of Laurie's sentiment panel reminded me of a file folder, so I made a file folder card. Just to be clear, I didn't use a file folder and make a card. I took a normal A2 card size and just off-cut the front to make it look like a file folder tab. The text I stamped on the inside edge. Gratitude remained the theme. Instead of twine, I used a scallop stamp, scallops being the theme in this week's Lucky Dip challenge over at Less Is More, hosted by the dynamic duo of Chrissie and Jen! 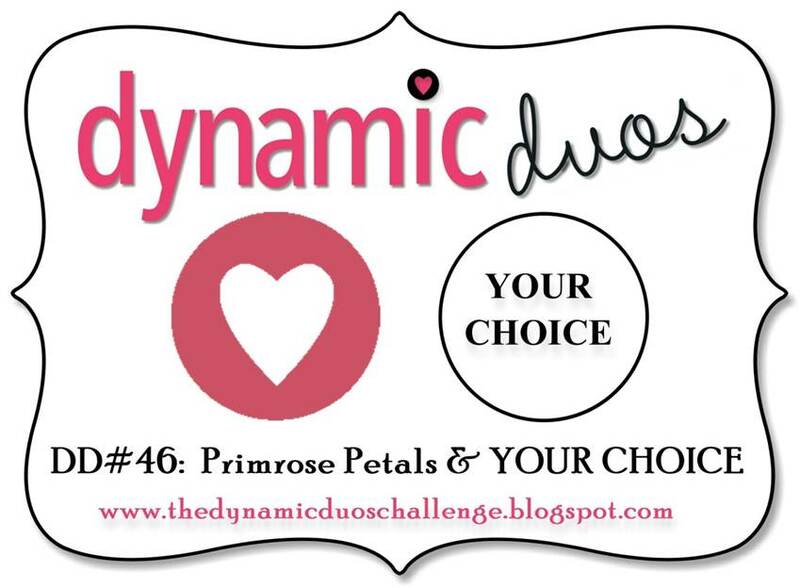 Speaking of dynamic duos, along with Laurie's color, I used Primrose Petals which is the primary color choice in challenge #46 at Dynamic Duos! I colored my clear rhinestones with a Primrose Petal marker. The thought processes involved were a bit convulse diluted, but that's pretty normal for me. I've told you before it's like a hamster wheel up in there and it's pretty entertaining watching the ideas go round and round. I have to say, howsoever, now that I look at this card on the computer, I wish I would have let the wheel go a couple more rotations before I stopped. That thank you panel is going to need to be swapped out for a bigger one, one that doesn't look like a tiny life raft out in the middle of the ocean! Silly me. Another super talented and seasoned blogger has joined us! 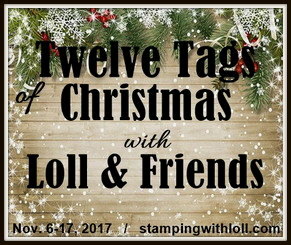 Please help me welcome Vickie Zimmer of For the Love of All Things Stampin! Thank you, Vickie, make yourself at home! Enjoy your evening / day! No, seriously, enjoy. LITS*! Fabulous card Darnell...I love your scallops dotted with the pink bling, a wonderful touch to a very sweet card. See you tomorrow. Darnell what a great card, I love how you added the clip on top of the file folder. Love your card Darnell, the idea of the file card is really innovative and the scallops look super. Super card Dippy - love that scallop stamp and love the way you've made a file folder card. 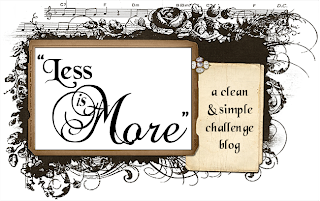 Thanks for the link to Laurie's blog......what an ingenious idea! 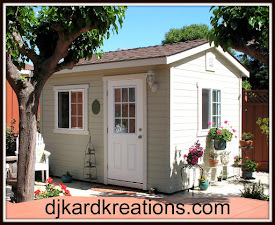 I expect we all put up our pictures and then want to "tweak" things-that's the crafter inside you tee hee ! So, so clever Darnell! Love the addition of the file kit. I'm so glad I'm not the only one who daydreams about card making whilst doing mundane tasks. We had origami folded lettuce in the salad last week! Such a Fab card design Darnell, it works so well. I love the colour scheme too. I too like the file card. What you wrote about your tag being like a raft stuck in the middle of the ocean reminded me of a joke, but I'll leave that for another time. :-D The scallops work well. That's a lot of challenges, my friend! I love the idea of the file - very clever and a great take on Laurie's Muse card. So glad you played along! I so love your cards they are so clean and inspiring with lovely soft colours. darnell... what can i say.. simply stunning and i love the punch shape... can i ask where it's from? This is such a beautiful take on the muse card. I love your focal point--just perfect. Beautiful take on Laurie's card, Darnell! I love the clean and crisp look of your design! Fabulous! fun take on the challenges, darnell! Ooh, I love the file folder card! Clipping text to the inside of the card is a great idea. now this is just too cute.. great design.. So you're filing at work... and you dream up a file folder card?! I love that! Glad you were able to join us this week at Dynamic Duos, Darnell! Your mind was definitely headed in the right direction while filing away the hours at work...awesome idea! Love the colors, love the clip, love the concept! I really like the size of the 'thank you' element. It seems to fit with the mini clip and the small scallops on the border. Hi there, I think your card is perfectly balanced and your life raft is dinky do ! Clever take on the theme another super dooper creation from you. Awesome card Darnell. What a wonderful idea to make a 'file folder' this one is pinned for sure! I thought you made a file folder because you brought your work home with you! I had such a good time with you and Kim at lunch today and am looking forward to the next time together! What a creative idea to use a file folder and I love the little clip you have popped on the back. Love the scallop stamping. The file folder is cute, but that little green clip makes it officially cute!! 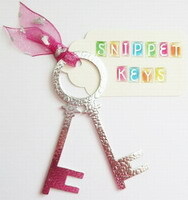 Love these scallops and the sentiment with the little clip! I hadn't thought of the muse card as a file folder but you're right. I love Darnell!! Your card is so fun! i love the file shape and the little clippy! SO cute! Thanks for your sweet words!! I love your card Darnell. That is a great idea to make a file folder! What a great way to tuck in a message. I love the scallops and the tag (and no, I don't think it looks like a life raft). It's very elegant! Wow ~ you totally nailed all of the challenges ~ really loving the blingy scallops! This card is so cute! Love how you added the clip and made it look like a folder! Awesome! Love the originality of your card... your thinking just jumped to the file folder tabs and kept on going. I must confess that now that you've said something about the size, it's the only item on your card that I can focus on now. 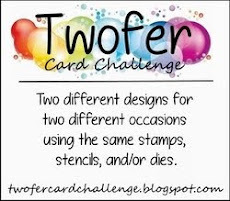 I thought file folder, too, but didn't get a chance to make a card for this challenge. You, on the other hand, made it work for several. I don't know how you keep them all straight. Your hamster must have a good filing system of her own.